To ask other readers questions about The Apothecary's Daughter, please sign up. Me at 47%: This book is so unconventional and interesting! The heroine, Lilly, has 4 or 5 guys who are pursuing her and I can't tell which one she's going to end up with! Me at 85%: *eyeroll* This feels like a Regency-era Choose Your Own Adventure story, only with men! How long is Lilly going to string all these guys along? Shouldn't it be at least a little apparent (to me if not to her) which guy is the right one? It really kind of irritated me that I could see the story going in any of at least Me at 47%: This book is so unconventional and interesting! The heroine, Lilly, has 4 or 5 guys who are pursuing her and I can't tell which one she's going to end up with! It really kind of irritated me that I could see the story going in any of at least four directions, without doing violence to the plot line. And when the guys finally started dropping out of contention for Lilly's hand, it still irked me, because it felt like authorial fiat rather than developments that were integral to the plot or the characters. "Oh, so-and-so just dissed the ability of women to work; guess he's not the right guy." "Oh, this guy suddenly started acting all spiritual and suggested a prayer. Better bump him to the top of the heap." I like a few unexpected turns in my romances but this felt a bit ridiculous. The plot generally took a few random turns and a couple of big leaps forward in time that startled me and broke my concentration. I kept thinking the author could have used the line from The Princess Bride: "All my father used to say at this point was, 'What with one thing and another, three years fourteen months passed.' "
There are some quirky POV shifts in this book. It's 98% written in a third-person POV for Lilly, but the beginning and end scenes are, for reasons known only to Klassen, written in 1st person POV. But what was really odd was when when, after the 50% mark, we suddenly have a handful of scenes written from the POV of a couple of Lilly's suitors, just randomly dropped into the text here and there. If you're going to switch POVs, do it more often, or not at all. The inspirational/religious aspects of this story aren't too heavy (in fact, they felt a little like an afterthought to me), but there is some discussion of prayer and God's role in our lives. I enjoyed the first Julie Klassen book I read a year or so ago, The Maid of Fairbourne Hall, but this one and The Girl in the Gatehouse were a little disappointing. Content: super-clean, except for a few medically disturbing scenes and some discussion of married couples who have cheated on each other. For a book with so many men milling around the main character, I think there were a total of three rather chaste kisses in the book. I'm so glad I reread this book. It's a special story filled with twists and turns. I liked that each of the potential suitors for Lilly had at least a few favorable characteristics. The pace was spot-on, ramping up and ebbing at the exactly right moments. The setting was just as amazing as the characters and plot. This is an all-around great book. It was a little strange to wait until the halfway point to introduce points of view from two of the suitors. Once I got used to it, both POVs flowed well, but it was shocking when they first cropped up. Seven years ago I read the The Apothecary's Daughter. My first Julie Klassen book. I loved it then and it was just as good the second time around. I had forgotten much — okay I’d forgotten nearly all of it, so it was like a new book to me. Lily was the only daughter of a village apothecary well outside of London. An aunt and uncle whom she'd never met came to visit in hopes of claiming Lily's brother as their heir. They were disappointed upon realizing Charlie was a bit simple and would have no w Seven years ago I read the The Apothecary's Daughter. My first Julie Klassen book. I loved it then and it was just as good the second time around. Lily was the only daughter of a village apothecary well outside of London. An aunt and uncle whom she'd never met came to visit in hopes of claiming Lily's brother as their heir. They were disappointed upon realizing Charlie was a bit simple and would have no way to inherit and take over their estate. Having been very impressed with Lily though, they wrote to invite her to stay with them in London to enjoy the season in hopes she might find a nice match. Knowing her father's apprentice, Francis, could take her duties in the shop, Lily set off from the only home she had never known to an adventure she never dreamed possible. Lily fit quite well in London's social scene and had a number of men showing her interest, but love was what she really wanted. For a quality match she was instructed that her father's occupation, and the fact that her mother had abandoned the family years before, needed to be kept secret. Lily, being an honest person, couldn't lie when the question was finally asked, much to her aunt's dismay. Suddenly her options weren't as solid. A cryptic message about her father sent her home after about a year, and things again changed for Lily. I enjoyed all the twists and turns of the story. All the men interested in Lily, doctors vs. apothecaries issues, her brother's problems and best friend's epilepsy made for an entertaining page-turner. The last paragraph brought it all together, and I laughed that I had forgotten that. Another incredible piece of historical fiction with strong characters from second published authorJulie Klassen. Without a doubt, Klassen is on my favorite author's list. Both Lady of Milkweed Manor and The Apothecary's Daughter were so enjoyable. Each chapter starts with a quote of various pharmaceutical and apothecary means as well as a few others and it really sets the scene. It is something she also used in her first book, and I truly believe that it adds an incredible important element Another incredible piece of historical fiction with strong characters from second published authorJulie Klassen. Without a doubt, Klassen is on my favorite author's list. Both Lady of Milkweed Manor and The Apothecary's Daughter were so enjoyable. Each chapter starts with a quote of various pharmaceutical and apothecary means as well as a few others and it really sets the scene. It is something she also used in her first book, and I truly believe that it adds an incredible important element to the way her story is told. This book is divided up into sections that works quite well. It is a long book and fabulously so, I did not want it to end. The one qualm that I did have, is that the last section is very dark to me. Everything that can go wrong is going wrong and it was a little much to experience all at once, when the rest of the book was much more light heart-ed. I feel kinda like if there was so more happiness in there with the dark toward the end that it would have worked better. Then it ends abruptly exactly as a perfect ending as it could be. My opinion would have been to draw it out with more details and more "happy" within the dark cloud, rather than having everything fixed in a last chapter and epilogue. But then we readers cannot get everything we want when fabulous authors are limited to just 400 pages or so. Good points and bad, my overall opinion is that the story is fabulous. My favorite portion of all is where the name for the book came from. It makes me teary eyed. And you will just have to go read it to find out why. Lilly Haswell, the daughter of a small village apothecary, yearns for a life filled with love and adventure that will take her away from her hometown of Bedsley Priors. She spends her days assisting in her father's apothecary shop with his apprentice, Francis Baylor, and she has an excellent talent for remembering and preparing remedies. Lilly's mother left her family three years ago without a word, and Lilly still looks for her return. When Lilly's fashionable and wealthy relations offer her an Lilly Haswell, the daughter of a small village apothecary, yearns for a life filled with love and adventure that will take her away from her hometown of Bedsley Priors. She spends her days assisting in her father's apothecary shop with his apprentice, Francis Baylor, and she has an excellent talent for remembering and preparing remedies. Lilly's mother left her family three years ago without a word, and Lilly still looks for her return. When Lilly's fashionable and wealthy relations offer her an extended stay in London, complete with the promise of tutors, gowns, and balls, Lilly concedes even though she will terribly miss her father and her handicapped brother, Charlie. Lilly travels to London with the aspirations to further her education, experience adventures, make new acquaintances, and perhaps, find some clues about her mother's disappearance. In this novel Ms. Klassen leaves her audience in suspense and befuddlement about which man will be the one to win Lilly's heart until the very end of the novel. So if you like books were the romance is unpredictable and unexpected, you will like this aspect of the novel greatly. For myself, surprisingly I found it a little disappointing and unsatisfying. Lilly has three suitors in this novel and throughout the majority of it she is undecided about which one she is in love with. Because of this, Lilly sometimes seemed to be a little fickle and inconstant. In addition, with three different male characters the book it didn't seem to have a true hero or main male character. I was a little disappointed in how my favorite suitor was abruptly abandoned and how we were left with no glimpse of his future. Is this book Austenesque? Not really, although this book takes place in the same Regency time period of many of Jane Austen's novels there aren't a lot of similarities between Ms. Klassen's and Ms. Austen's writing, characters, and style. Is this book Historical Christian Fiction? Yes, although I felt its inspirational and religious elements to be very light and not as meaningful as I expected. However, this book would be great for readers who don't really care much for the mention of God and faith in their historical fiction. To be fair, when I started this book I didn't have any concept of what it would be about beyond what one can infer from the title. While the story itself was OK and, I'll admit it, I read the novel cover to cover over a weekend this is not what I would call a great read. Maybe a good read... but just maybe. Point of view jumps around with little notice and the jumps don't seem to serve the plot in any predetermined way. Additionally there are times when it seems you leap from one moment to the nex To be fair, when I started this book I didn't have any concept of what it would be about beyond what one can infer from the title. Point of view jumps around with little notice and the jumps don't seem to serve the plot in any predetermined way. Additionally there are times when it seems you leap from one moment to the next and have no idea how you got there or exactly when and where "there" is. I loved the writing. I loved the setting. I loved the period. I loved the characters. I enjoyed reading the story and seeing all the historical detail regarding apothecaries. The apothecary's daughter had far too many suitors, though, and while it was fun for a while trying to guess who she would end up with, it got to be a little frustrating and tedious. There should be SOME hint or clue as to which man she'd end up with, and the readers should be able to easily figure it out, even with all the I loved the writing. I loved the setting. I loved the period. I loved the characters. I enjoyed reading the story and seeing all the historical detail regarding apothecaries. The apothecary's daughter had far too many suitors, though, and while it was fun for a while trying to guess who she would end up with, it got to be a little frustrating and tedious. There should be SOME hint or clue as to which man she'd end up with, and the readers should be able to easily figure it out, even with all the red herrings thrown their way. They should be able to look back and say, "Ah, yes. The clues were there after all. She was made for THIS man." But given the structure of the story, I thought for sure she'd end up with a particular character, only to find out later that I was wrong. In any case, the heroine seemed to be equally divided -- her physical and emotional reaction to each suitor gave each suitor an equally good chance. My impression was that perhaps the author herself didn't know whom the heroine would end up choosing, and while I have no problem with that in real life, I like a little more certainty in books in the romance genre. Or maybe I'm just too used to reading other books in the same genre and period. Perhaps my expectations are based too much on what I've read before; the hero was simply not introduced in a way that I thought he ought to have been. Nothing wrong with that, of course. Nothing wrong with being original. I just ... I couldn't help but be disappointed. The daughter of an apothecary in a small English village must assist her father and slow-minded brother after her mother runs off. Readers get to experience village life, London society, snobbery, kindness and the intriguing developing medical profession as though we walked those streets ourselves. An unexpectedly captivating story that drew me into Regency England. I say 'unexpected' because I don't typically read historical fiction. But Julie Klassen's writing style is rich and full of period d The daughter of an apothecary in a small English village must assist her father and slow-minded brother after her mother runs off. Readers get to experience village life, London society, snobbery, kindness and the intriguing developing medical profession as though we walked those streets ourselves. Una historia diferente, con una protagonista diferente trabajadora, llena de ilusiones y sentimientos. Una trama simple pero tan completa con sus personajes, sus historias y sus secretos. The Apothecary's Daughter by Julie Klassen isn't exactly my sort of historical fiction novel. The writing itself was pleasant enough, I was very happy that Klassen did attempt to imitate 1900th century prose, which is always irritating for me since it is rarely used properly. Lillian "Lilly" is the daughter of the local apothecary who is "brilliant" (writer's words not mine), but like all girls in that time is striving for something more. In addition, she is dealing with the shame of her mother' The Apothecary's Daughter by Julie Klassen isn't exactly my sort of historical fiction novel. The writing itself was pleasant enough, I was very happy that Klassen did attempt to imitate 1900th century prose, which is always irritating for me since it is rarely used properly. Lillian "Lilly" is the daughter of the local apothecary who is "brilliant" (writer's words not mine), but like all girls in that time is striving for something more. In addition, she is dealing with the shame of her mother's disappearance that is the subject of village scandal. Previously unknown relatives arrive at Lilly's home because they wish to take her brother, Charlie, as their heir, since the could is childless. Due Charlie being mentally challenged they do not, but still they are impressed with Lilly's intellect and decided to take her to London in order to find her a good match. Thankfully for Lilly there are several men who are willingly to fight for her hand in marriage: A nobleman, the childhood friend, the second choice and the guy who seems to be just right. Oh what's a girl to do? Thankfully, before she can make a choice, she returns home and finds her father acting a damn fool due to dealing competition from rival doctors and apothecary shops. Using her "brilliance" or as I like to call it, common sense, she manages to bring some common sense back into his mindset and also helps return their apothecary shop to its previous glory. In the meantime three of our four love interests find their way into Lilly's life and manage to all look like the perfect men for her. Which one does she pick? I could honestly care less and that's the problem with this book not to mention it just seemed to go around in circles for no reason. I don't care and if I don't care who she ends up with then it's all worthless. The story line about the mother was somewhat interesting until it is dropped to bring up some twist with Lilly's father. Lilly herself didn't grab me as an interesting character. Thinking back on the book while writing this there is nothing I can say stood out for me about her personality. There was no fire, no passion, she was just there. All together not a great book, not horrible, but certainly not for me and those who have my mentality. It was just ok. It wasn't awfully compelling but the apothecary history was interesting. All of the characters were thinly developed, especially Lily's suitors. Why she would be interested in any of them is beyond me. The author wove several story threads and didn't end any of them satisfactory. The story of the disappearing mother was not well imagined nor did it have a good ending; the story of the Marlows abruptly ended with some crazy scene of the younger Marlow threatening the medical profe It was just ok. It wasn't awfully compelling but the apothecary history was interesting. All of the characters were thinly developed, especially Lily's suitors. Why she would be interested in any of them is beyond me. The author wove several story threads and didn't end any of them satisfactory. The story of the disappearing mother was not well imagined nor did it have a good ending; the story of the Marlows abruptly ended with some crazy scene of the younger Marlow threatening the medical profession; and the introduction of his character in the very beginning suggested a bigger involvement and there was not one. Suddenly out of left field we get this secret relationship from 20 years ago, thrown in at the end. Was that the big twist? And what happened to Dr. Foster and Dr. Graves? Especially Foster, where there was clearly a history of animosity stemming from Charlie's birth. Julie Klassen is becoming one of my favourite authors. Reading her books was one of my biggest dreams, and I owe it to my best friend Brittany, who amazingly made that dream come true. Thanks to her, I have two books by this amazing author, both signed and dedicated, and they are among the treasures of my shelves. But most of all, thank the Lord for giving me the chance to meet such wonderful people, even when we live in different parts of the world. Well, to the review. I doubt I can 5 BIG STARS! Well, to the review. I doubt I can truly do justice to all the wonderful details in this book, but I’ll try. Saying that I loved it doesn't even begin to explain how much. The Apothecary's Daughter it is a true historical fiction work that it is a pleasure to read, and what it makes it all the more amazing and admirable is that huge research work behind it. I was impressed with how many details I could learn about the work of an apothecary, the way of treating patients and how much they rely on them, even above actual doctors. It's a truly captivating story; it kept me turning the pages for hours, and wanting to get back to it when I had to put it down. I loved Lilly Haswell, because, in despite of her many hesitations and indecisions, she’s a strong, deep character. She feels torn between two worlds: the one that shaped her whole life, in her father’s apothecary, and the infinite possibilities of the London life her aunt and uncle have to offer (she knows the world is bigger than the small part she’s familiar with - I love when a character doesn’t settle for what there is at hand, and follows her/his heart). Lilly knows that leaving Bedsley Priors will hurt the people she loves, but she can’t fully bring herself to reject the chance of education, refinement, travel, and perhaps an advantageous marriage, her relatives have ready for her in the big city. In other aspects, she is, among the many books I’ve read, the first heroine who has three men vying for her affections, and although I’ve seen that it felt unrealistic –and even insufferable– for many other readers, I consider that it speaks of more character depth than the character itself is aware of. I mean, Lilly is a full grown woman, and her beauty and charms do not go unnoticed by the men in her life, but she has other priorities, and hardly remembers of her own heart during her father’s illness, her mother’s absence (who left without even a word to anyone), her brother Charlie’s difficulties, and the whole restoring of Haswell’s, which has fallen in hard times. The admiration from those three men is, each according to their vision of her, sincere, and she knows it, she sees it, and her doubts are not something I find annoying… I think that it makes Lilly a lot more human. If she didn’t have any hesitations about who she loved, then I wouldn’t have believed her for a second. The three suitors are great characters, and, in a way or another, I loved the three of them. The romance is not a sparky, passionate one, but a rather sweet, quiet love that grows between the characters, and, at some point, they realize life is no life if the other isn’t there. I loved it, because you go with Lilly step by step, and her feelings are your feelings at some point, about her missing mother (with every clue she finds), her father and brother, her friends, her suitors, her patients… She’s a true historical fiction heroine. This book is wonderful, also, because it has skilfully showed two different worlds, and entwined them in what it feels like a beautiful painting, showing the two faces of the story’s reality: the small town life, and the polite upper society one, both of them showing that they have equal amounts of lights and shadows, that none of them is perfect, but love is, at the end, what makes you choose one or the other. Lilly belongs to the two of them, as she is both refined enough for a London ballroom, and highly skilled to prepare the medicines and tonics needed in her father’s shop, having the sincere trust of those who count on it, and the Haswells’ knowledge. “[The apothecary] is the physician to the poor at all times, and to the rich whenever the distress or danger is not great.” –Adam Smith, 1776. It’s a pleasure to read an historical book from an author who actually cares about historical accuracy, and sits there to do the research, towards the goal of taking readers to another era. And while there is this kind of people in the world, the past centuries will not be utterly gone, because we will always find a way to return to them. I always say that a story doesn’t have to belong to the fantasy genre to have magic in it… There’s many types of it, and this is only one them. This is definitely a must read for those who love historical fiction. In my case, I wanted to read this one for so many years, that I thought I’d be disappointed when I finally could, because my expectations were too high; but that didn’t happened; I utterly loved this book, and it is an astounding YES to the rest of the books by this author. Go ahead, you won’t be disappointed, and I hope you love it as much as I did! This review has been hidden because it contains spoilers. To view it, click here. The beginnings of the book kept me very much interested in the story, and I did feel it was well written. There is Lilly, the heroine, her father Charles and her brother Charlie. Her father took on an apprentice, Francis Baylor. It was all a happy arrangement, until her mother's relatives came to visit and whisked Lilly to London. It started to feel like a so-so book in the second part of the book. So in London, she went to balls, parties, outings, and the like, to "find a husband", so to say. Sh The beginnings of the book kept me very much interested in the story, and I did feel it was well written. There is Lilly, the heroine, her father Charles and her brother Charlie. Her father took on an apprentice, Francis Baylor. It was all a happy arrangement, until her mother's relatives came to visit and whisked Lilly to London. I was sort of trying to grasp the point of the book. Let's see, so Lilly had like 4 suitors. Each had his own chapter. Fine. 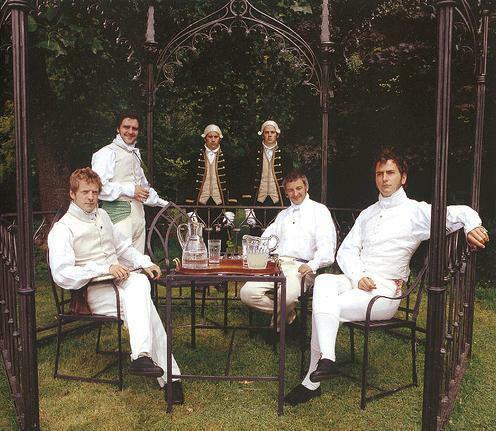 But then the suitors, were fickle. When they are turned down once, they go to another lady, and when she turns them down, they flock back to Lily. WTF!? And then by the end, in the one same paragraph, Francis is sometimes Francis and then Mr. Baylor and then Francis and then Baylor and Mr. Baylor. All during narration, not dialogue. What gives? And finally in the grand finale, the title of "Apothecary's Daughter" was given to Mary, Lilly's half-sister, who died. And somehow, when never once had Lily shown interest in Francis (or, same level of confused feelings towards 3 of her suitors) that she decides that he is for her and she pines for him. Empece con muchas ganas este libro esperando solamente que la historia fuera como la primera que leí de esta autora pero no fue así. Nuevamente caímos en lo mismo. Si bien al principio si capto mi interés el tema de la boticaria y la protagonista con su inteligencia pero luego fui perdiendo el interés porque no pasaba nada en la historia. No había romance. Incluso pensé que tendríamos el misterio por la desaparición de la madre pero no. Puedo contar con una mano las veces que se menciona ese tema en este libro. Otro tema que me termino de tumbar el interés fue la protagonista y sus CUATRO INTERESES AMOROSOS!!! Ella no estaba bien que le gustara un tipo sino cuatro! ella por todos sentía algo. Por dios era molesto como ellos andaban alrededor como si ella fuera la miel y ellos las abejas (parecía que en ese pueblo no había más mujeres). Ninguno de los cuatro hombres fue interesante o con peso fueron más bien simplones y personajes secundarios. En el futuro pensaré seriamente si volver a caer con esta autora (Y no cometer el error de nuevo de leer un libro suyo sin leer una reseña antes) por ahora no quiero un libro suyo más. I found this book rather confusing. Lillian Haswell is the apothecary's daughter. Her mother left the family and Lilly has always longed for what she believed her mother had - adventure and freedom. When her mother's brother and wife come to offer her the opportunity to go to London and have a season in London, she jumps at the chance. She is gone for several years, barely writing home. Then she receives a note that she is needed by her father and reluctantly returns. What I found confusing abou I found this book rather confusing. Lillian Haswell is the apothecary's daughter. Her mother left the family and Lilly has always longed for what she believed her mother had - adventure and freedom. When her mother's brother and wife come to offer her the opportunity to go to London and have a season in London, she jumps at the chance. She is gone for several years, barely writing home. Then she receives a note that she is needed by her father and reluctantly returns. This book confounded my expectations on two fronts. I saw it billed as a "Regency romance" and winced, expecting a bunch of stock characters and a wish-fulfillment plot. Slightly later, I learned it was published under a Christian fiction imprint, and I winced again - not only a romance novel, but a tepid one filled with religious proselytizing as well. Still, I'd already downloaded the audiobook, and figured I'd at least give it a go; I am fond of period pieces and if it was awful I figured I c This book confounded my expectations on two fronts. I saw it billed as a "Regency romance" and winced, expecting a bunch of stock characters and a wish-fulfillment plot. Slightly later, I learned it was published under a Christian fiction imprint, and I winced again - not only a romance novel, but a tepid one filled with religious proselytizing as well. Still, I'd already downloaded the audiobook, and figured I'd at least give it a go; I am fond of period pieces and if it was awful I figured I could find something different for my commute. I was pleasantly surprised, therefore, at how much I enjoyed the book. The narrative voice, sense of setting and historical period are all strong, and the religious aspects (while occasionally heavy-handed) only once threaten to overwhelm the main story. Most importantly, however, the protagonist is both intelligent and dynamic enough to hold our attention throughout the story; and (longtime readers will know this is my most frequent complaint) the author understands "show, don't tell". That last concept, especially, is a problem common to authors who have far more published work than Ms. Klassen, and I heartily congratulate her for overcoming it. It's not a perfect book, however. Given that the author's posted biography on Goodreads states that she's an editor, I find it slightly ironic that the thought I had most often while listening to the story was "This isn't bad, but with the help of an editor it could be a lot better." A few phrases get used with eye-rolling regularity (I lost count of how many times "tears rolled down [a character's:] cheeks" or someone "took a step closer/back"), the narrative shifts rather abruptly from just the main character's point of view to a rotating third-person style, and the book as a whole is frankly overlong. While I appreciate the time spent developing each character and giving them all motivation and depth, some tighter editing to focus better on the protagonist would help streamline the narrative enormously. Mostly, however, it felt to me like the novel's problems stemmed from the author's insecurity in her own voice. When she focuses on the characters she's created and the world they inhabit, it's quite compelling. When she starts to try and shoehorn it into a 'marketable package', so to speak, the problems start. Much of the overused phraseology I mentioned comes into play during sequences that feel like they're required for a "romance"; if the author had dropped them entirely (or spent somewhat less time on them) the narrative would have been just as interesting, and smoother to boot. Similarly, the religious aspects felt cut-and-pasted in, like the author had been busy telling her story and then, halfway through, went "Oh, right! I'm writing this for a Christian imprint, so I guess I should put in something about prayer!" It especially gets heavy-handed during the climax of the story, like she felt that she had to prove her story's religious credentials to the publisher. It doesn't ruin the book by any means, but (again) these parts could be edited down or removed entirely without affecting the story in any meaningful way. This has to be one of my most favorite books of all time! This was my first read by Julie Klassen and certainly won't be my last! This story is about Miss Lillian Haswell, the daughter of Charles Haswell, the town apothecary. From a young age, Miss Haswell learns how to concoct the potions for her father from their physic garden they grow. They are toted as being "miracle workers" for their prescriptions and mastery of the medicinal herbs they prescribe. One day, an aunt and uncle that Lillian d This has to be one of my most favorite books of all time! This was my first read by Julie Klassen and certainly won't be my last! One day, an aunt and uncle that Lillian did not remember very well come to visit at her home. The aunt and uncle are unable to bear children and are wanting to "borrow" one of Charles's children for the "betterment of society". Their first choice would be Charlie, Lill's brother. However, upon meeting him, they decide he is not the best choice. They then decide they want Lillian to move into their London home. Against Charles's better wishes, he allows her to go and she becomes a woman of society. While there, she meets many potential suitors. There's Mr. Graves, a medical student, who meets her fancy. However, he's not good enough according to her aunt and uncle. A sudden occurrence at home causes Lillian to leave London and return to her beloved home. There she is confronted by more potential suitors...Francis, the young apothecary apprentice from her father's shop, Mr. Marlowe, the wealthy heir of a Baron, and Mr. Shuttlesworth, her father's competition. Who would Lillian choose? This review has been hidden because it contains spoilers. To view it, click here. This book had nothing offensive which was good. The story was too long and drawn out. The quotes at the top of each chapter from books of the historical time were the best part. I felt the romance (which seemed the purpose of the book) was not focused. In other romance novels (from Jane Eyre to Pride and Prejudice from whom the author seemed to draw inspiration) the "hero" was easy to pick out--he was the smartest, richest, best-looking man. This book was all about whoever was left. She ended up This book had nothing offensive which was good. The story was too long and drawn out. The quotes at the top of each chapter from books of the historical time were the best part. I felt the romance (which seemed the purpose of the book) was not focused. In other romance novels (from Jane Eyre to Pride and Prejudice from whom the author seemed to draw inspiration) the "hero" was easy to pick out--he was the smartest, richest, best-looking man. This book was all about whoever was left. She ended up married to the boy who was younger and less smart than she was. Sorry, that's more real life than I want in a romance novel! The author seemed to quickly try to redeem him in the end, but after reading about all the other possibilities, I have to think she settled, not got her heart's desire. A comparison is if Jane Eyre had married St. John, not Rochester. I really enjoyed this book about the role apothecaries had in Regency England during the mid 1800's. It was also very enlightening to know that women weren't allowed to dispense medicine. I loved Lilly, the main character. The reader gets to see her grow from a young teen to a woman. She has worked in her father's shop since she can remember and knows the mixtures without ever having to look anything up. She's resourceful and smart, probably why I liked her so much. One of my favorite parts of the book was trying to figure out who she would end up with romantically. Just when I thought I had it all figured out the author would take me in another direction. And I was totally blind sighted at the end of the book...never saw a shocking development coming until it smacked me in the face!! I love when that happens!! Recommend? Absolutely, especially for those that enjoy historical fiction that takes place in England. My favorite part of the book was learning about the roles of the apothecary and how instrumental and crucial they were to the townspeople. Many of the villagers trusted these men more than their local doctors. And with the haughty demeanor of doctors I could totally understand why a person would take the advice of their apothecary over the doctor any day. Reviewed from a Man's Point of View. This was the first book I read on my Kindle for PC app sometime in February, 2010 (I now have a Christmas Kindle *Brag*). Being that long ago, I don't remember minute details, but I'll hit some high points. 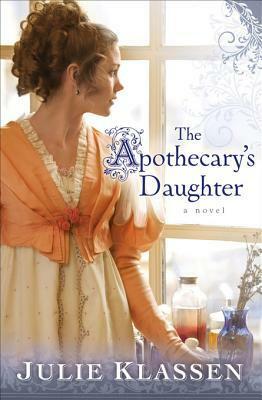 I was captivated by "The Apothecary's Daughter"! Read it in two days. Very good read! I've generally felt that historical romances tend to repeat the same story over and over, but The Apothecary's Daughter had a unique story line and the setting of an apothe Reviewed from a Man's Point of View. I've generally felt that historical romances tend to repeat the same story over and over, but The Apothecary's Daughter had a unique story line and the setting of an apothecary shop was fascinating. There were numerous references to common herbs that we still find cultivated today. I was enthralled by the attention to detail regarding the medical profession during this time period. Interesting insight into the jealousies between surgeons and apothecaries. I did like this book but it was an unusual read for me. Here is a young woman who takes a journey of self-discovery. The journey is interesting and ultimately, I would say that that was the main point of the book, instead of being your typical regency romance. As for the love interest, there were, I think, five men who were constant possibilities. The frustrating thing for me was that none of them ever stood out as the obvious choice and she seemed to be attracted to almost all of them. In the e I did like this book but it was an unusual read for me. Here is a young woman who takes a journey of self-discovery. The journey is interesting and ultimately, I would say that that was the main point of the book, instead of being your typical regency romance. As for the love interest, there were, I think, five men who were constant possibilities. The frustrating thing for me was that none of them ever stood out as the obvious choice and she seemed to be attracted to almost all of them. In the end, the romance just kind of fell into place naturally. It was nice but lacked the wonder and tension I love. I originally read The Apothecary's Daughter back in 2009. At that time, I only gave it ★★★ and have always said that it was my least favorite of Julie Klassen's earlier novels. I don't know what I was thinking. Since I didn't remember much about the book, I decided to reread it - and glad I am that I did. I enjoyed it so much more this time and it ranks right up there with my other favorites of hers. Os personagens são ricos e se apresentam qual tal é a natureza do ser humano perversa ou não. A autora retratou bem as dificuldades dos boticários, o desprezo dos médicos em relação a eles, as doenças (epilepsia da amiga, o atraso mental do irmão) as doenças sem curas naquela época com seus tratamentos paliativos e por vezes fatais; os sonhos em busca da realização pessoal. Julie Klassen loves all things Jane—Jane Eyre and Jane Austen. A graduate of the University of Illinois, Julie worked in publishing for sixteen years and now writes full time. Three of her books, The Silent Governess, The Girl in the Gatehouse, and The Maid of Fairbourne Hall, have won the Christy Award for Historical Romance. She has also won the Midwest Book Award, the Minnesota Book Award, and Julie Klassen loves all things Jane—Jane Eyre and Jane Austen. A graduate of the University of Illinois, Julie worked in publishing for sixteen years and now writes full time. Three of her books, The Silent Governess, The Girl in the Gatehouse, and The Maid of Fairbourne Hall, have won the Christy Award for Historical Romance. She has also won the Midwest Book Award, the Minnesota Book Award, and Christian Retailing’s BEST Award, and been a finalist in the Romance Writers of America’s RITA Awards and ACFW’s Carol Awards. She blogs at http://www.inspiredbylifeandfiction.com.